Luxury line Seabourn signed an agreement with UNESCO that includes raising $1 million to protect the world’s cultural and natural attractions – with the additional benefit to cruise passengers of onboard speakers with knowledge of World Heritage. The cruise line’s itineraries include visits to more than 150 unique sites, from the Sydney Opera House to the ruins of Petra, Jordan, that UNESCO has singled out for possessing outstanding universal value for all humankind, the line said. Holland America Line will return to the pink sands and British charm of Bermuda in 2015. The 1,350-passenger ms Veendam will cruise from Boston on six 1-week Bermuda sailings in May, June and July next year. While larger ships dock at the Royal Naval Dockyard on the island’s West End, ms Veendam will dock in Hamilton for three days and nights, giving passengers easy access to activities and nightlife in the capital city. The ship will alternate the Bermuda cruises with 1-week sailings to Canada/New England – which can be combined for a 14-day itinerary. Fees for the one-week sailings from $799; for the 14-day combo cruises from $1,499. With Costa Diadema set to debut in November, Italian line Costa Cruises is teasing out details, including that the ship will have a 1,640-foot promenade on Deck 5 – the longest outdoor promenade in the fleet. The sea-view walkway will be lined with bars and restaurants and include the unusual feature of six cabanas and two hot tubs that extend off the side of the ship – giving those inside the feeling of being suspended over the sea. Passengers will be able to order a drink or romantic dinner in the cabanas, the line said. Two large glass mosaics by artist Roberto Bixio, titled Riviera Ligure, feature imagery of the Mediterranean coast and will embellish the left and right sides of the walkway. The promenade is expected to garner so much attention it even has won the new flagship a nickname, “Regina del Mediterraneo” (Queen of the Mediterranean). Costa Diadema’s christening has been set for November 7 in Genoa. Set sail for 12 nights aboard Seven Seas Voyager and you can hang out with Gwen Ifill of Washington Week and do a pre-cruise visit to Highclere Castle, better known as the setting for the Emmy Award-winning PBS show Downton Abbey. PBS shows and personalities are featured on the August 27 sailing, offered by Regent Seven Seas Cruises with partner Artful Travelers. The “Masters and Tsars” cruise is from Southampton, England, to Stockholm. Pre-cruise, passengers will have the option of visiting Highclere, where Lady Fiona Carnarvon, the chatelaine of the estate, will serve as your hostess. She is author of The New York Times bestseller Lady Catherine and the Real Downton Abbey. 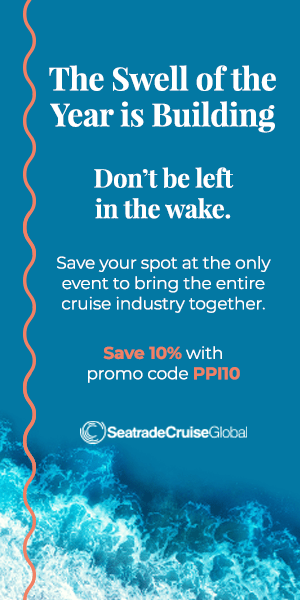 The broadcasting-themed cruise will also feature lectures and discussions with Ifill; Michael Kantor, executive producer of American Masters; David Zippel, a Tony Award–winning lyricist (City of Angels) and director; and Christine Andreas, a Tony Award–nominated vocalist and actress (On Your Toes).